The myth of the free market is that it is the most efficient economic system. People’s needs and desires become demand which is then serviced by competing vendors. Competition drives vendor prices down which then benefits the consumer and produces lean, incredibly efficient suppliers. Thus, we end up with a marketplace of demand and supply, with the available resources being dynamically, flexibly allocated. None of the wastage, lag and inefficiency of command economies like Soviet-era Communism. But there’s a problem with this golden vision: it all relies on the motor of profit. Demand is the quantity of a good that consumers are not only willing to purchase but also have the capacity to buy at the given price. Note the linguistic sleight-of-hand here. If you or I were in a field of starving, penniless peasants, we’d say that there was a huge demand for food. A free marketeer would not because those people can’t afford to buy food at the price offered. Hence there is no demand for food. Those people become invisible to the capitalist system since they have no money. Their need for food ceases to exist. Furthermore, in the free market system, if a business can increase its profit by price-fixing, it will do so. Or perhaps a business will deliberately produce shoddy products in order to keep you buying replacements – hardly a great allocation of limited resources but one that makes absolute sense under capitalism. This Avastin furore is the tip of a huge iceberg, the distortion of our whole world by the profit principle. But Genentech, the company that invented Avastin, does not want it used in this way. 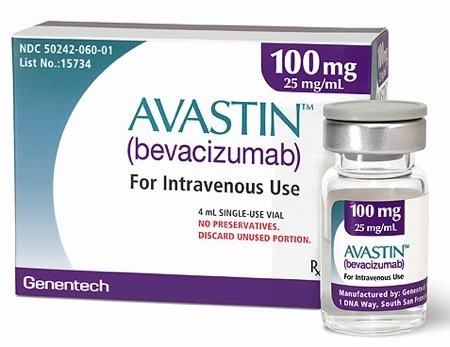 Instead it is applying to license a fragment of Avastin, called Lucentis, which is packaged in the tiny quantities suitable for eyes at a higher cost. Speculation in the US suggests it could cost £1,000 per dose instead of less than £10. Capitalism doesn’t care that you can’t afford to buy medicine: there is no heart to capitalism, it’s all about profit. In fact, if one drug company started being “caring” and not seeking to maximise its profits, it would quickly be subsumed by its more ruthless and “efficient” peers. Think of that difference in costs: £1000 per dose instead of £10. Think of that money coming out of your bank account, either via taxes and the NHS or directly if you choose private healthcare. Remember, that difference in cost isn’t to guarantee your safety, it’s pure profiteering. Then, as capitalism steals your money out of your pocket or leaves you blind when you could have sight, think of how good a friend it is to you.